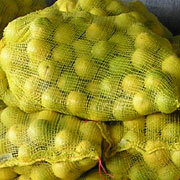 Leno Bags Being Permeable allow the air to pass through the bag Which help to keep the the product fresh. 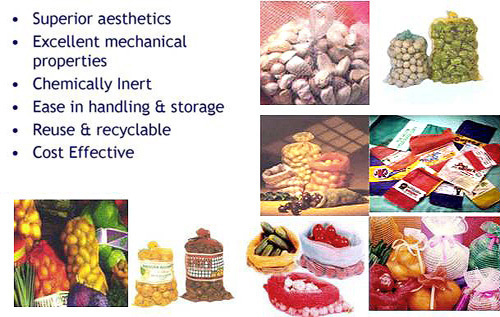 With their low weights and cost effective nature, they provide a superior packaging alternative to other materials. Our Leno bags are developed to the highest standards of quality and exhibit a high level of flexibility and efficiency and can carry loads of over fifty kilograms. 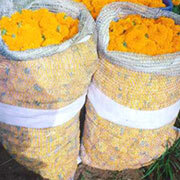 Our bags keep products safe and fresh for long durations. They have excellent re-usability and washability characteristics. 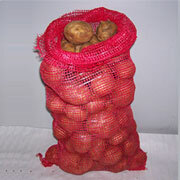 Available in a wide range of attractive colours, our mesh bags are ideal for packaging products such as onions, potatoes, garlic, ground nuts, fruits & vegetables etc. Inside product can be seen very clearly for the customer for checking the quality. Also the air circulation keeps the product fresh. 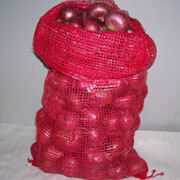 Leno bag for packing vegetables can keep the vegetables fresh. 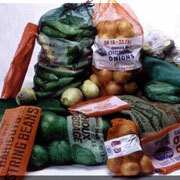 Permeability of the bags helps in significant saving in energy cost in cold storage systems. Our bags keep products safe and fresh for long durations have excellent reusability and washability characteristics. Our Leno bags are developed to the highest standards of quality and exhibit a high level of flexibility and efficiency and can carry loads of over fifty kilograms & visibility of the product is better. Our bags keep products safe and fresh for long durations have excellent reusability and washability characteristics. Available in a wide range of attractive colours. Leno Bags being low weight reduce the packing cost. Available in a wide range of attractive colours.